In this month’s Catholic Thinking feature Dr Christopher Evan Longhurst explores beauty’s theological and aesthetical contexts within the Western Catholic tradition. Dr Longhurst is a lecturer for The Catholic Institute of Aotearoa New Zealand – Te Pūtahi Katorika ki Aotearoa. Beauty is one of those multifaceted topics that intersects almost every field of study, and about which most people have an opinion, including St Peter and Pope Francis. The following ‘Catholic reading’ explores beauty’s theological and aesthetical contexts within the Western Catholic tradition, prescinding that most common trope, taste. It also touches upon the possibility of beauty’s moral and relational import. So much for an aesthetical appreciation of beauty! Though what if aesthetic beauty were only a projection into the physical world of the order and harmony inside the human heart, and in all creation? 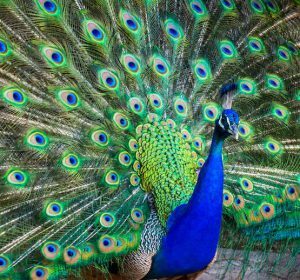 In fact, doesn’t this describe the spectacular beauty of peacocks and soap bubbles with their intricate patterns, colours, shapes and forms? 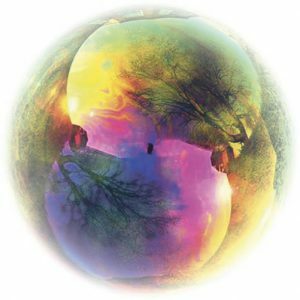 Francis did acknowledge that ‘the soap bubble is beautiful with all its colours,’7 though what he cautioned against was not physical beauty per se, but an inordinate attention to physical appearances, the vanity of strutting around for show and a human existence as empty as a soap bubble. Still Francis, like Peter, favoured interior beauty. Their preference seems not just because physical beauty fades, indicating the fleeting nature of external appearances, as Isaiah said, ‘the grass withers and the flowers fall, but the word of our God endures forever,’8 but perhaps also because physical beauty can leave the viewer enamoured though often unfulfilled, as if a spectator admiring external appearances, rather than a participant in beauty itself. However, given the universally accepted aesthetic property of beauty, and the fact that we live in a physical universe, perhaps beauty cannot be reduced to an interior quality, or elevated to the level of ‘the unfading beauty of a gentle and quiet spirit’, because beauty also projects outside itself into the forms around us. In so doing it causes attraction, one of the properties of beauty, though not in the sense of opposites attracting, but rather as like-attracting-like. In other words, the lure of beauty is caused by similar qualities adhering in the moved and the mover, similar to how goodness is desired by the will, or truth is known by the intellect. This advances a conception of beauty as a relational property interiorly owned and exteriorly related. Pope Benedict XVI defined it as that which ‘unlocks the yearning of the human heart, the profound desire to know, to love, to go towards the Other, to reach for the Beyond.’9 According to Benedict, it ‘draws us out of ourselves’ and ‘wrenches us away from being content with the humdrum.’10 He also said that beauty ‘pierces us like a dart, reawakening us by opening afresh the eyes of our hearts and minds, giving us wings, and carrying us aloft.’11 In this sense, beauty is a kind of energy, both interiorly owned and exteriorly related, natural to creation and human relationships, and innate to God. This is not to equate God’s transcendent beauty with the inner beauty of created things. That ‘enduring Word’ mentioned by Isaiah is held to be identical with the Source of Beauty, internally owned and relational in the Trinity,12 though also externally related on all levels in the universe. In other words, beauty is simultaneously eternal in the Second Person of the Trinity, incarnated in Mary, temporalised in the Eucharist, and participated in by all creation. It doesn’t fade or close its feathers, or burst, but remains ever-present, relatable, and desirable. Herein lies the key to beauty’s Catholic character, incarnational and eucharistic, fixed in matter yet unbounded, relating from its source to its object and vice-versa. In the Catholic tradition, therefore, beauty is not just an aesthetic quality in material things by which they are attractive, or one’s ‘inner self’ alone, but the union of exterior form and interior radiance. While the former abides, the latter radiates and is desired, hence beauty becomes a quality perhaps more convertible with love, than with the transcendental properties of goodness and truth. Perhaps then, from a theological-aesthetical perspective, the fullest and most ‘catholic’ definition of beauty may be that beauty is a moral-relational quality by which things attract and are attracted, the energy not just between the moved and the mover, but in and between the loved and the lover. 1 Vatican News, https://www.vaticannews.va/en/pope/news/2018-02/pope-to-arts-movement–make-god-s-love-visible-with-your-talents.html (accessed 08-05-2018). 2 Catholic News Agency, https://www.catholicnewsagency.com/news/beauty-advice-from-pope-francis-like-mary-be-virtuous-52232 (accessed 08-05-2018). 3 La Stampa, http://www.lastampa.it/2014/09/25/vaticaninsider/attenti-alla-vanit-rende-la-vita-una-bolla-di-sapone-DKUXCVW4I9RNWuiyACw9lL/pagina.html (accessed 08-05-2018). 6 Pope Francis, Angelus, Vatican City, 8 December 2017. 7 La Stampa, http://www.lastampa.it/2014/09/25/vaticaninsider/attenti-alla-vanit-rende-la-vita-una-bolla-di-sapone-DKUXCVW4I9RNWuiyACw9lL/pagina.html (accessed 08-05-2018). 9 Pope Benedict XVI, Meeting with Artists: Address of His Holiness Benedict XVI (November 21, 2009). 12 Thomas Aquinas ascribed beauty to the Son because the Son possesses ‘integrity, due proportion and clarity,’ three qualities constituting his definition of beauty. Cf. Summa theol., I,39,8. Dr Christopher Longhurst is a lecturer for TCI. His doctorate is in Sacred Theology, from the Angelicum, Rome. Prior to returning to live in New Zealand in 2017, he was professor of Philosophy at Al Akhawayn University in Ifrane, Morocco, and an educational officer (operatore didattico) at the Vatican Museums, Rome. He has also taught at Marymount International School, Rome, Italy, and Victoria University of Wellington. Chris’ academic expertise is the interdisciplinary study of theology and aesthetics.